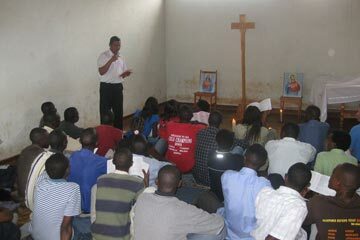 Following their visits to Rwanda and Goma (DRC), and before returning to Nairobi, the brothers made their way to Burundi where, among other contacts, they met young people who had taken part in the November 2008 meeting in Nairobi. With the stability which has followed the signing of a ceasefire and the rallying to the peace process of the last rebel group: the National Liberation Front, people are starting to hope again – especially the young. They have known only the years of trouble: “It was only four years ago that I was able to leave the capital, travel to the interior for the first time and discover my country”, explains Noёlla, a law student at Bujumbura. François Nitunga runs the interdenominational “Rema Ministries” association which began its action amongst the Burundian refugees in Nairobi. He relates: “… there have been so many atrocities committed… We are sick of this. We need people who feel in their hearts what we have been through. There have been more than five hundred thousand refugees. There were eleven camps in Tanzania and others in Kenya. 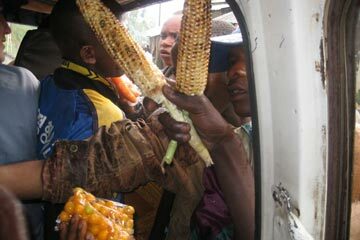 In 2004 we moved to Burundi to participate in the welcome of those who were returning to the country. Some had left it in 1972; at that time there were three million inhabitants, today there are more than eight million. We ask ourselves: How can we welcome those who are returning? We need peace, so we must hope – and make sure – that the others will also have peace. 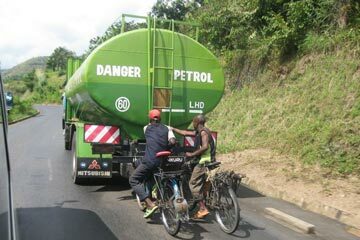 “How to save your energy while going up Bugarama"
As elsewhere, the young people of Burundi aspire to peace. But here the weight of the past and the economic constraints are very heavy. To contribute to the rebuilding of the country involves personal commitment. Some are aware that they must dare to go beyond the categories that have polarised the life of the country. They are beginning to build new relationships, to meet young people from other neighbourhoods, other settings, to go and visit, listen to and support groups in the provinces. When this sort of commitment is animated by a search for communion with Christ, it is a sign of maturity and can lead them a long way.